An Interview With An ArtRage Artist (Uma entrevista com um artista ArtRage). Fernando Madeira is a Brazilian tattoo artist who paints brightly coloured abstract animals and designs. 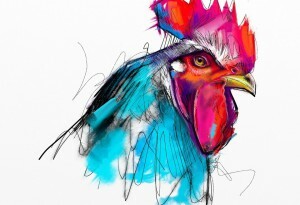 He experiments with traditional media as well as ArtRage. This interview is in both English and Brazilian Portugese. Browse our featured artists.